Distinguished Flying Cross awarded posthumously 2007. ​Among Chief Warrant Officer 3 Quinlan's numerous medals and decorations are: the Distinguished Flying Cross (awarded for heroism or extraordinary achievement in an aerial flight), the Meritorious Service Medal, the Air Medal for Valor, three Air Medals, four Army Commendation Medals, the Navy Commendation Medal, the Navy Achievement Medal, the Marine Corps Good Conduct Medal, the National Defense Service Medal, the Armed Forces Expeditionary Medal, the Afghanistan Campaign Medal, the Global War on Terrorism Expeditionary Medal, the Global War on Terrorism Service Medal, the Humanitarian Service Medal, the Korea Defense Service Medal, the (Saudi Arabia) Kuwait Liberation Medal, the Kuwait Liberation Medal, the Army Service Ribbon, the Overseas Service Ribbon, the Joint Meritorious Unit Award, the Meritorious Unit Citation, the Combat Action Badge and the Senior Aviation Badge. 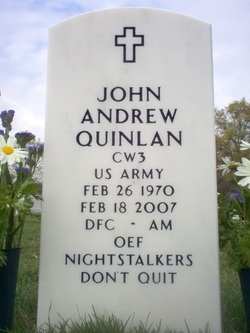 ​Hometown: Morristown, New Jersey, U.S.
Died: February 18, 2007 in Operation Enduring Freedom. Unit: Army, 160th Special Operations Aviation Regiment, Fort Campbell, KY.
Chief Warrant Officer 3 John A. Quinlan, 36, of New Jersey; assigned to the 2nd Battalion, 160th Special Operations Aviation Regiment (Airborne), Fort Campbell, Ky.; died Feb. 18 in southeastern Afghanistan when the Chinook helicopter he was in crashed. Also killed were Chief Warrant Officer 3 Hershel D. McCants Jr., Sgt. Adam A. Wilkinson, Spc. Travis R. Vaughn, Spc. Brandon D. Gordon, Pfc. Ryan C. Garbs, Pfc. Kristofer D. S. Thomas and Air Force Tech. Sgt. Scott E. Duffman. CHIEF WARRANT OFFICER 3 JOHN A. QUINLAN, of Clarksville, Tenn., whose parents, Robert and Kathleen Quinlan,reside in BRADLEY BEACH, was killed when his MH-47E Chinook helicopter crashed in southeastern Afghanistan on Sunday, Feb. 18, while conducting operations in support of Operation Enduring Freedom. He died doing what he loved, serving our country in Afghanistan as a Special Operations "Nightstalker" Chinook helicopter pilot. Chief Warrant Officer 3 Quinlan was assigned to B Company, 2nd Battalion, 160th Special Operations Aviation Regiment, Fort Campbell, Ky. During his 18-year military career, he served his nation in every major conflict since 1990 - including five deployments in support of Operation Enduring Freedom in Afghanistan, two deployments in support of Operation Iraqi Freedom, a tour in Somalia, and service in Operation Desert Storm. 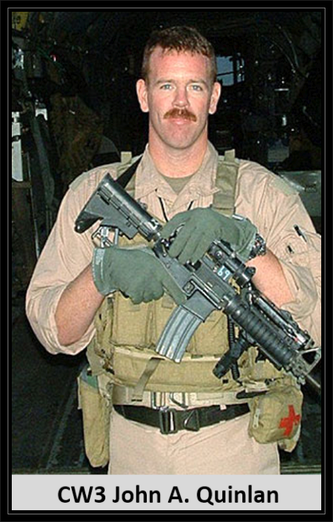 He was featured during 2002 on an NBC Nightline program about the "first wave" of Operation Anaconda. 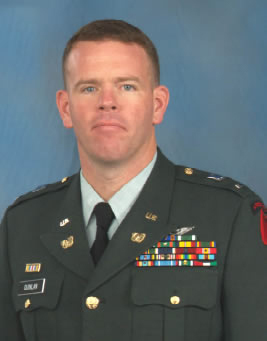 Chief Warrant Officer 3 Quinlan was born in Morristown in 1970, was raised in Phoenix, Md., and spent summers as a youth with his parents and family in Bradley Beach. He graduated from Dulaney High School in Baltimore County, Md., in 1988, and enlisted in the Marine Corps immediately thereafter. Following Marine Corps boot camp, he was trained as an avionics specialist on Harrier jump jets and became a loadmaster for the C-130 Hercules cargo plane. After his first 10 years of military service, he left the Marines when he was commissioned as an Army warrant officer. Chief Warrant Officer 3 Quinlan then trained as a Chinook helicopter pilot at Fort Rucker, Ala., and later transferred to the 160th Special Operations Aviation Regiment at Fort Campbell as an instructor pilot. He loved all things Irish and his antique Toyota Landcruiser, and was a wonderful, devoted and loving husband, father, son, brother, and uncle. 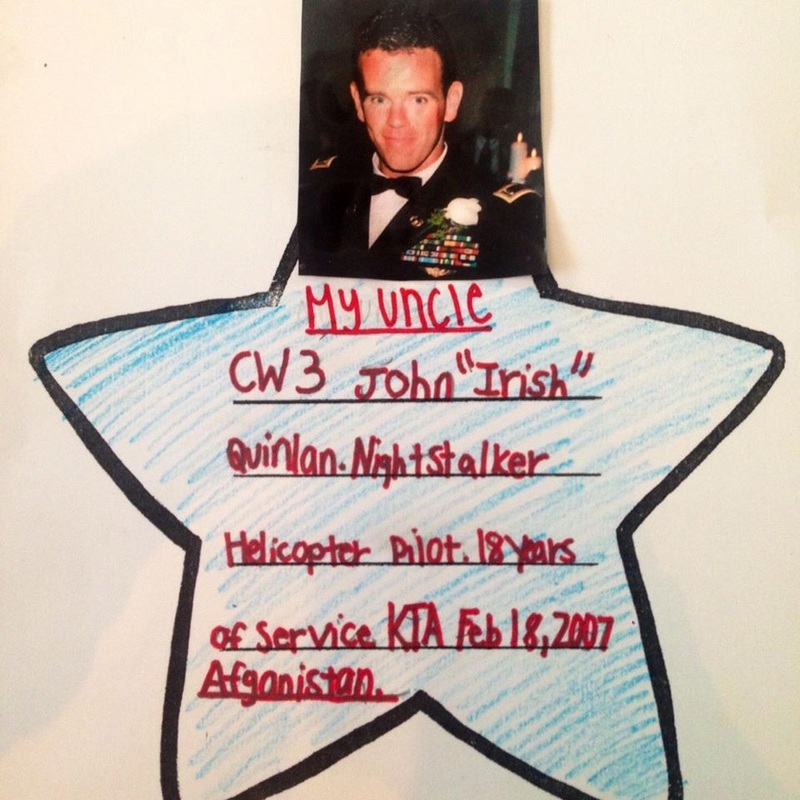 He served his nation for 18 years and spent the last four of those flying with his fellow Night Stalkers and supporting Special Operations forces. John was a strong man and had a firm sense of justice. He believed in his mission and stood up for what he knew was right. We were so lucky to have him for 36-plus years. 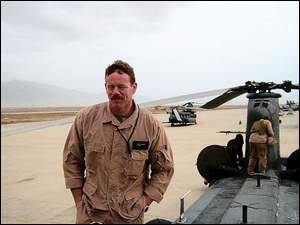 Among Chief Warrant Officer 3 Quinlan's numerous medals and decorations are: the Distinguished Flying Cross (awarded for heroism or extraordinary achievement in an aerial flight), the Meritorious Service Medal, the Air Medal for Valor, three Air Medals, four Army Commendation Medals, the Navy Commendation Medal, the Navy Achievement Medal, the Marine Corps Good Conduct Medal, the National Defense Service Medal, the Armed Forces Expeditionary Medal, the Afghanistan Campaign Medal, the Global War on Terrorism Expeditionary Medal, the Global War on Terrorism Service Medal, the Humanitarian Service Medal, the Korea Defense Service Medal, the (Saudi Arabia) Kuwait Liberation Medal, the Kuwait Liberation Medal, the Army Service Ribbon, the Overseas Service Ribbon, the Joint Meritorious Unit Award, the Meritorious Unit Citation, the Combat Action Badge and the Senior Aviation Badge. He leaves behind a beautiful family, his wife, Julie of Clarksville, and their daughters, Keely, 10, Madeline, 8, and Erin, 3; his parents, Robert J. Quinlan (a retired Army major) and Kathleen Quinlan; his grandmother, Mary Quinlan; his sister and brother-in-law, Susan and Greg Ripke; and many nieces and nephews. A true patriot throughout his life, Chief Warrant Officer 3 Quinlan will be laid to rest with full military honors in Arlington National Cemetery, Washington, D.C., on Tuesday. In lieu of flowers, the Quinlan family is requesting that contributions be made to an education fund for his daughters, Keely, Madeline and Erin. Kathleen Teresa (nee Philbin) Quinlan made her transition to heaven, Friday, April 12th at her home in Bradley Beach. She was born March 5, 1944 in Caldwell New Jersey to Patrick and Louise Philbin. Kathleen held a masters degree from Loyola College in Maryland and taught elementary school for many years going on to become a much beloved guidance counselor. Her last position from which she retired 3 years ago was with Asbury Park Middle School. Kate was an extraordinary person who cared for and touched so many children on her path. Her light & legacy is immeasurable. She lost her only son CW3 John A. Quinlan, A Special Operations helicopter pilot, 6 years ago in the war in Afghanistan. Through it all Kate was the definition of strength & grace. 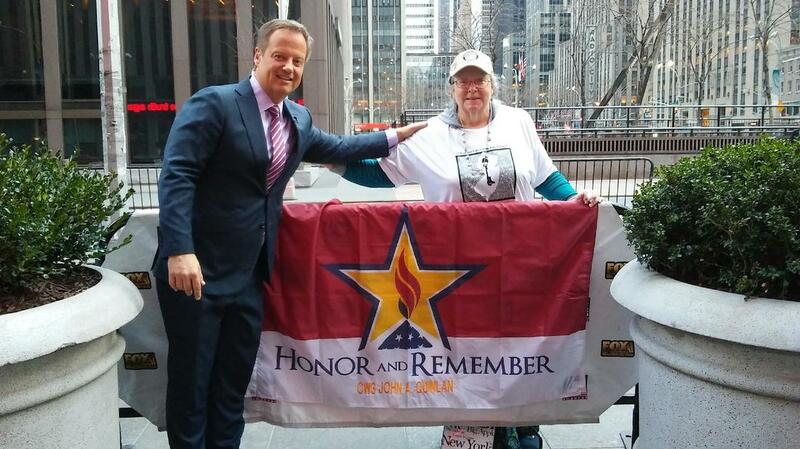 Despite her pain and grief, she lived with gratitude and used her energy for good by connecting with & supporting other grieving families of lost soldiers. Kate loved her family, East End Avenue beach, cooking large delicious meals and sitting on her front porch in Bradley Beach. She had a kind and generous heart, once you met her you could not forget her. She treasured her role as a grandmother earning the nickname "Golly" that suited her so well that eventually everyone called her Golly! She showed us how to live by her example and we will carry that forward to honor her memory. We take some peace in knowing she is reunited in heaven with her son, who loved her so. Kate is survived by her husband Robert Quinlan, daughter and son in law Susan and Greg Ripke, sisters Alice & Anne, and her grandchildren Keely, Olivia, Maddie, Erin, William and JAQ, who she loved beyond measure. Also survived by her great friends the Reillys, Julie Golden, the Farrells, the Edwards and her special neighbors, Helene & Rachel whom she adored. Visitation will be held Tuesday, April 16 from 5pm-7pm at the Ely Funeral Home, 3316 State Highway 33, Neptune, New Jersey 07753. A mass in celebration of her life will be at 10am Wednesday, April 17 at St Elizabeths Church, 424 Lincoln Ave, Avon-by-the-Sea, New Jersey 07717. Kate will be laid to rest at Arlington National Cemetery. In lieu of flowers please make a donation in Kate's or John's name to the "Run For The Fallen Memorial Fund" benefiting our fallen warriors from New Jersey. www.njrunforthefallen.org or send a check to NJRFTF, NJ Run for the fallen, Inc., PO Box 474, Wrightstown, NJ 08562-0474. Published in Asbury Park Press on April 14, 2013.